Before making congrats in the remaining portions of this post I want to point out some statistics in today’s Paducah Sun regarding the election results. In McCracken County, there were 8,035 votes for straight Republican Party and 5,140 for straight Democratic Party. Compare this with information from the KY Secretary of State voter registration statistics from Oct 19, 2016 that says Democrats outnumber Republicans by nearly 10,000 voters (29,331 registered Democrats versus 19,615 registered Republicans). Details haven’t been released yet that specify whether more Republicans showed up to vote or if more Democrats voted Republican this election. Most Republican candidates did well in yesterday’s election! Come January, we will have majorities in the US House and US Senate along with a Republican president. Kentucky flipped the house! This has been a primary goal over the last few years. Not only was the house flipped but the house speaker, Greg Stumbo, lost his re-election bid in the 95th House District. 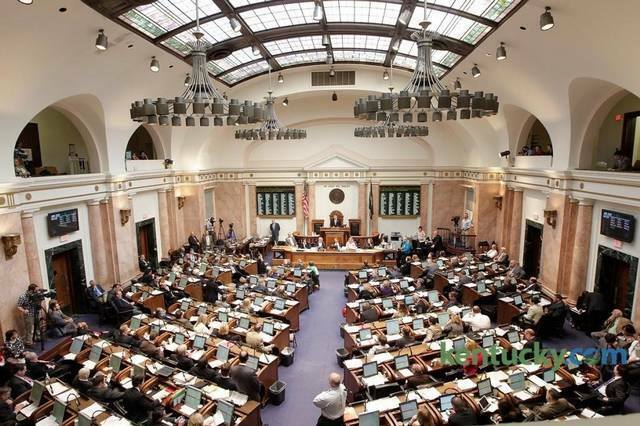 Stumbo was considered the biggest road block to improving Kentucky. Before the election Republicans had 47 House members while the Democrats had 53 members. After last night’s election Republicans will have a strong majority with a whopping 64 House members. Congratulations to Steven Rudy and Richard Heath for maintaining their House seats, Rand Paul for retaining his US Senate seat and James Comer for taking over retired Congressman Ed Whitfield. Finally, thanks to Joni Hogancamp for running a great campaign in her fight for the 3rd House district.